Casumo - Why Play at Casumo Casino Online? Read Review! Launched in 2012, Casumo Casino has rapidly grown to become one of the most recognisable and appreciated mobile casinos around like LeoVegas. 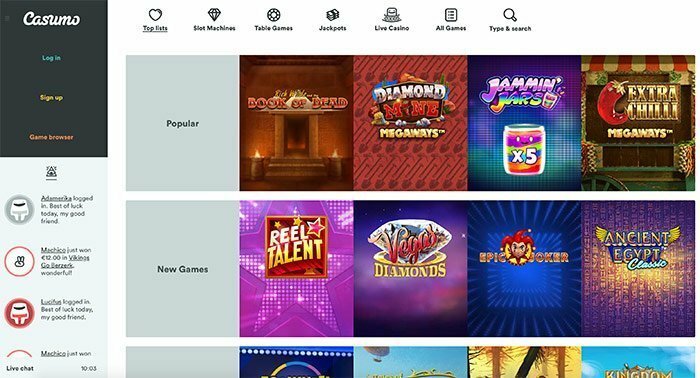 Of course, this NetEnt powered domain also offers instant play gaming to those on laptops and computers, but Casumo does excel mainly in the mobile gambling sector. 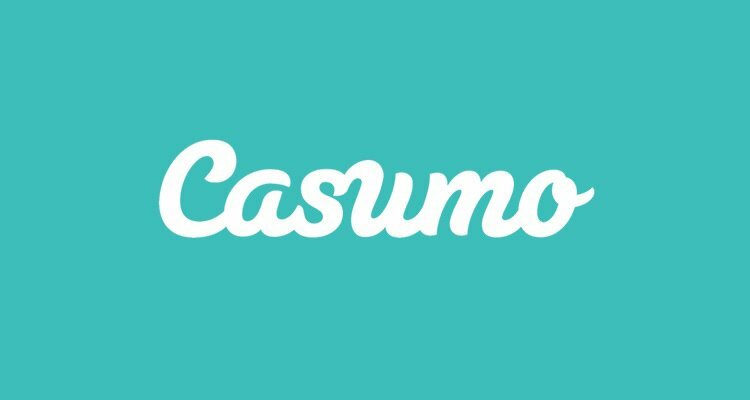 Read our independent Casumo review. Players will note that Casumo is a multilingual casino, capable of offering players gameplay in English, Finnish, German, Norwegian and Swedish. It also licensed out of Malta and the United Kingdom and is owned and operated by Casumo Services Ltd. Choose to play with Casumo Casino today, and you can snap up a welcome bonus which could be worth as much as £1,200 to you, as well as 200 free spins. Why Play at Casumo Casino Online? Casumo Casino isn’t just renowned for being a user-friendly mobile casino site. They are also highly recognised for offering a top range of casino games from all manner of different developers. 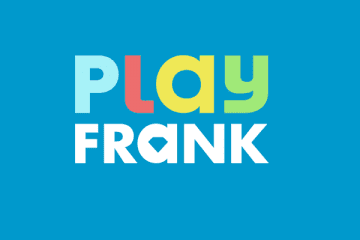 Amongst the developers who provide games at this online casino are BallyTech, Barcrest, ELK Studios, Evolution Gaming, IGT, Microgaming, Net Entertainment, NextGen Gaming, and Play’n Go, Thunderkick and WMS Gaming, amongst others. Together they make quite the arsenal of titles for you to choose from. With so many top developers offering titles, players won’t be at a loss for something to play. Some of the many gaming genres you can find there include slot machines, table games, jackpot games, live casinos, and a general “all games” genre of titles. Players will also note that Casumo also has popular games, new games, Only at Casumo, Casumo Loves, live casino and jackpot games. Live casino games at the site are numerous and plentiful. They include Ultimate Texas Hold’em, Live Blackjack, Football Studio, Lighting Roulette, Live Roulette, Live Baccarat, Live Three Card Poker, Live Caribbean Stud Poker, Live Casino Hold’em, Dream Catcher and more. RNG-based versions of most of these table games can also be played, from a handful of different casino software providers. There are also scratch cards available. Of course, online slots are more exciting and popular than any other games at Casumo. Major games which are worth a punt on at this casino site include Bonanza, Starburst, Dead or Alive Buffalo Rising, Eastern Emeralds, Moon Princess, Big Bad Wolf, Dwarfs Gone Wild, Shields of the Wild, White Rabbit: Megaways, Legacy of Egypt, Lucha Legends, Wild Bazaar, The Goonies, Gunslinger: Reloaded and the Polterheist slot machine game. The Casino can offer both instant play and mobile casino gaming as mentioned. Fortunately (and as is often the case nowadays) players do not need to download any software. Play at Casumo on your mobile phone is very easy. The mobile casino is free of any downloads, and all you need to do is open the casino site in your smartphone or tablet’s browser. It is also worth noting that because of this, the site is compatible with whatever operating system you are using, be it iOS, Android or Windows-based. 21 casino is also a popular UK mobile casino! Getting into a spot of bother, or requiring help and assistance is no trouble at Casumo. The online casino offers top of the line customer support to all their players. You can reach out to obtain this assistance either by live chat or by e-mail. The choice is yours. If you think you can handle your issues yourself, and you just need a push in the right direction, Casumo’s FAQ guide may be the way to go. Players should have no qualms about playing at this safe and secure online casino. Casumo Casino is licensed by both the MGA of Malta and the UK Gambling Commission. 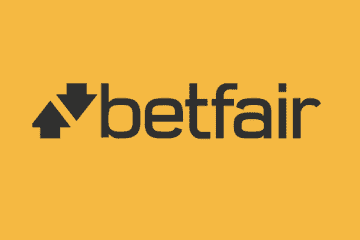 It routinely wins awards for its service and has an excellent track record providing safe and secure gaming to many players. Secure Socket Layer (SSL) encryption, twin licenses and certifications all ensure that when you play with Casumo, you’re playing at one of the best casinos online. Casumo Casino is known to accept a handful of currencies at their site. Amongst the currencies at the site are GBP, EUR, NOK and SEK currency options. The Euro is the currency of choice for most players at Casumo, though. The list of banking options is perhaps not as extensive as you might imagine for such a world-renowned online casino as this. They accept VISA, MasterCard, Bank Transfer, Skrill, Neteller, Paysafecard, Instadebit and iDeal. Beyond those methods, though, there isn’t too much out there. Deposit options all provide instant transaction times and transactions which are free from frees. Casumo is also known to be a speedy casino when it comes to paying out winnings to players, too. The online casino has regularly dished out prizes to its players in record times. Expect to receive your winnings in under 24 hours via e-wallet withdrawal methods. And between 24-72 hours with all other options, all, of course, free of any fees. Few other casinos can say the same. The casino is not particularly renowned for its array of casino bonuses and promotions. In fact, this is the one area of the online casino where they really don’t invest much energy. Even so, there is a massive welcome bonus to compensate for the lack of other offers, and it is yours just as soon as you sign up to play. After registering as a new player at Casumo claim your bonus! You can claim a welcome bonus which is spread over the first 5 deposits that you make. 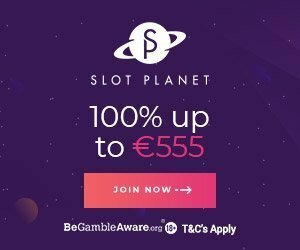 The very first deposit you make is met with a 200% match which can triple your initial deposit up to £50 and provide 200 free spins (at a rate of 20 per day) on NetEnt’s Starburst slot. Second and third deposits are met with matches of 50% up to £150, and £200, respectively. Fourth and fifth deposits are offered 25% matches up to the tune of £400 apiece. In all, there is £1,200 to be snapped up with this offer, and 200 free spins. A few other deals are available, too, but by and large, it is all about the welcome bonus with Casumo.